Vicky Ringer – Levi’s mum, co-founder and trustee of Levi’s Star. Vicky is also mum to Levi’s little sister, beautiful Layla. Vicky qualified as a teacher in 2001. She is a specialist SEN teacher with a Master’s Degree in Specific Learning Difficulties. She is currently studying for a Doctorate in Education, researching how children with brain tumours are supported within education. Vicky also manages Levi’s Star children/young people’s brain tumour outreach service and specialises in providing 1-1 bespoke intervention to children who have survived brain tumours. Vicky travels across Yorkshire to work with children in their own school environment and liaises closely with SENCOs/teachers to help them identify and meet the needs of children living with the effects of a brain tumour. She is completely committed to the cause and driven by the desire to make a difference to children/young people diagnosed with brain tumours. Val Ringer – Levi’s grandma, Layla and Jasmin’s grandma and co-founder and Chair Person of Levi’s Star. Val has a long history of office management until she ‘retired’ in 2011. 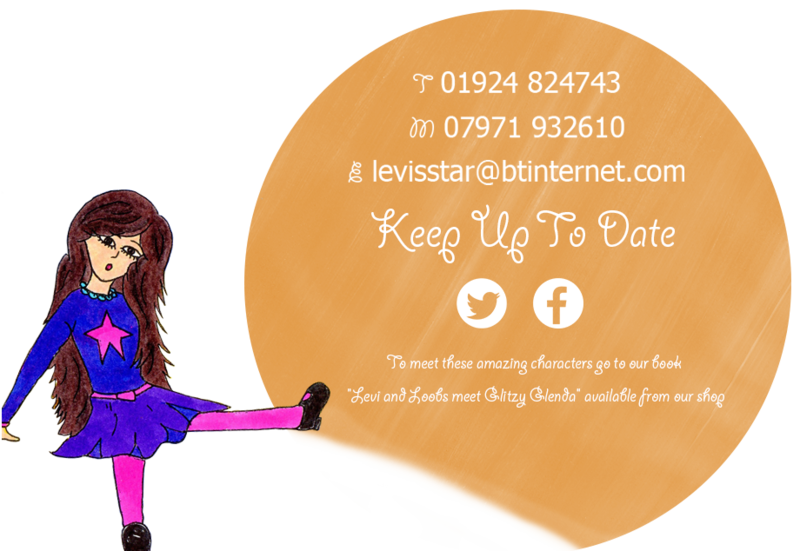 Her administrative, organisational and IT skills are used well within Levi’s Star and she is voluntary office/administration manager of the charity. Val is equally committed to the charity and feels that raising awareness of the signs of brain tumours is another hugely important area. She works tirelessly organising fundraising events for the charity. Val welcomes support from others to fundraise for and donate to this most worthy cause, thus helping to keep Levi’s Star shining and helping us continue to walk beside children with brain tumour and their families. Nicola Andrews – is a trustee of Levi’s Star. She works at Lloyds Banking Group as a Site Co-ordinator. Nicola has two grown up sons and lives in Leeds. She has supported Levi’s Star since it was registered and is actively involved in fundraising for the charity. Nicola has a great deal of empathy for the children/families we support and promotes Levi’s Star within her work environment and among her colleagues and friends. She has also successfully bid for Levi’s Star to be supported within her place of work. Nicola is a very valued trustee who is happy to devote her time to supporting Levi’s Star. She enjoys taking part in all of our fundraising events and is highly committed to our cause. Julia and Chris Schofield – trustees of Levi’s Star. Julia and Chris are married with 4 children and 2 grandchildren. They run Stanley Day Care, a chain of successful nurseries across the Wakefield area. Levi attended one of their nurseries from being two years old and was loved and cared for during his time there. Levi’s Star is Stanley Day Care’s chosen charity and Julia and Chris have organised fundraising events at nursery for the charity. They are fully supportive of the vision of Levi’s Star and use their extensive business skills to provide guidance wherever needed and help develop the strategic direction of the charity. Julia and Chris are also valued longstanding trustees.